Increasingly, businesses are becoming aware of the impact their reputation has on their success. That fact helps to explain why SEOValley has risen to the top of the online marketing industry. They provide reputation management services that help brands take control over how their audiences perceive them. They do this by first learning how their clients want to be perceived. Using that information, the experts at SEOValley go to work. They use website design, content marketing, and search engine optimization tactics to create the perfect brand appearance and message. Afterward, they monitor their results. After all, SEOValley insists on delivering measurable ROI with every campaign they execute. 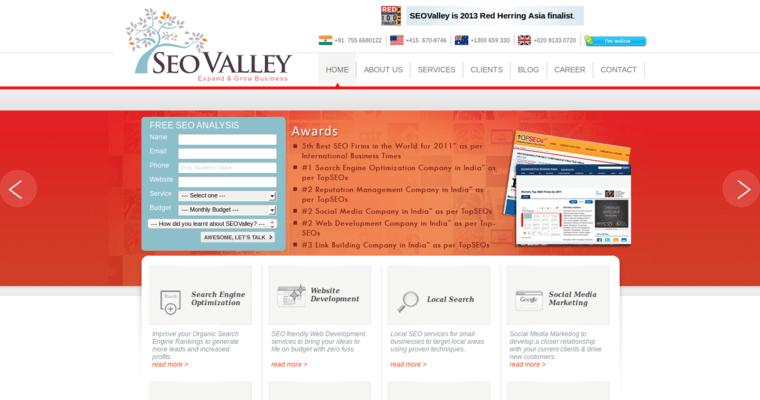 As a matter of fact, since 2000, clients have discovered that the services of SEOValley can pay for themselves. In addition to SEO, the firm provides other digital services that can work either alone or together to drive business growth.